2001/06/02 - A 1/300th scale model of the finished statue in the Laughing Waters restaurant with the full-size carving of the statue of Crazy Horse Memorial (1 mile in the distance) in the background near Rapid City, SD. 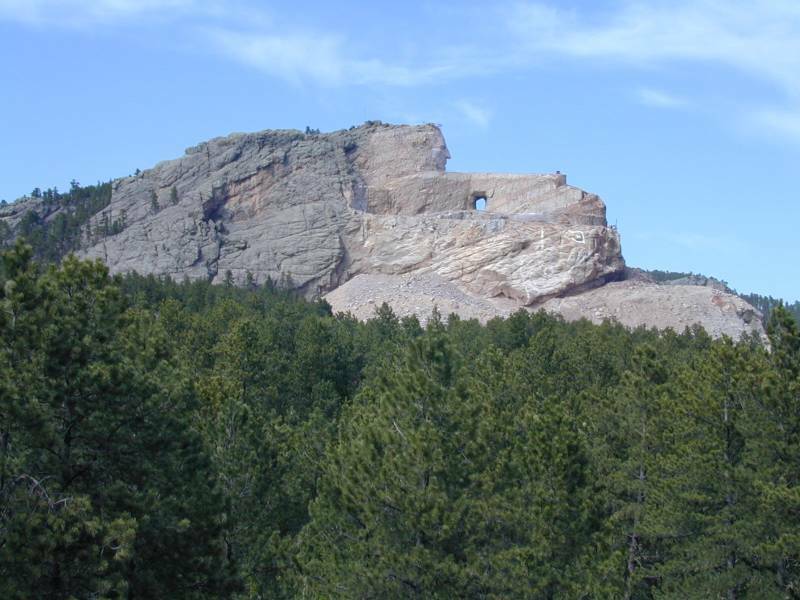 2001/06/02 - An overall view of the carving of the statue at Crazy Horse Memorial (1 mile in the distance) near Rapid City, SD. 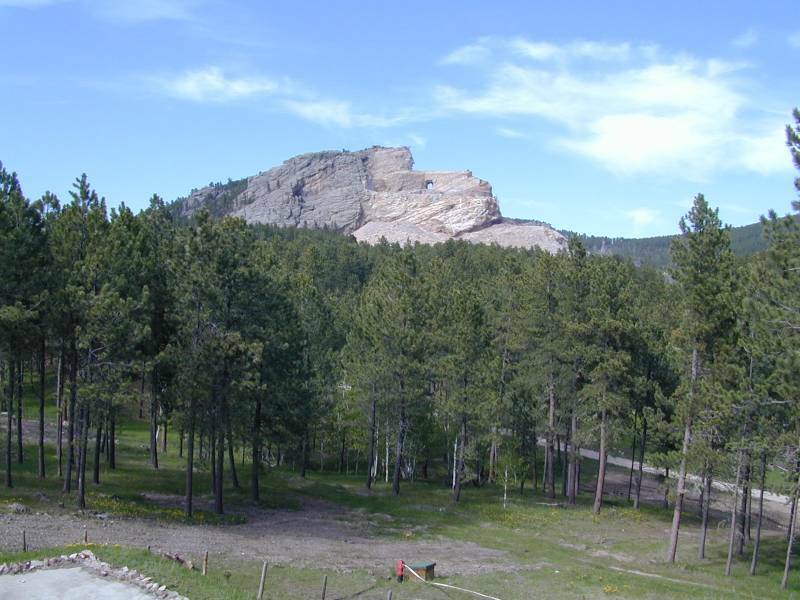 2001/06/02 - A closeup view of the carving of the statue at Crazy Horse Memorial (1 mile in the distance) near Rapid City, SD. Those are people on the "outstreached arm", having walked up on the "Volksmarch" which is held once a year, the only time the public is allowed up on the largest sculpture in the world. 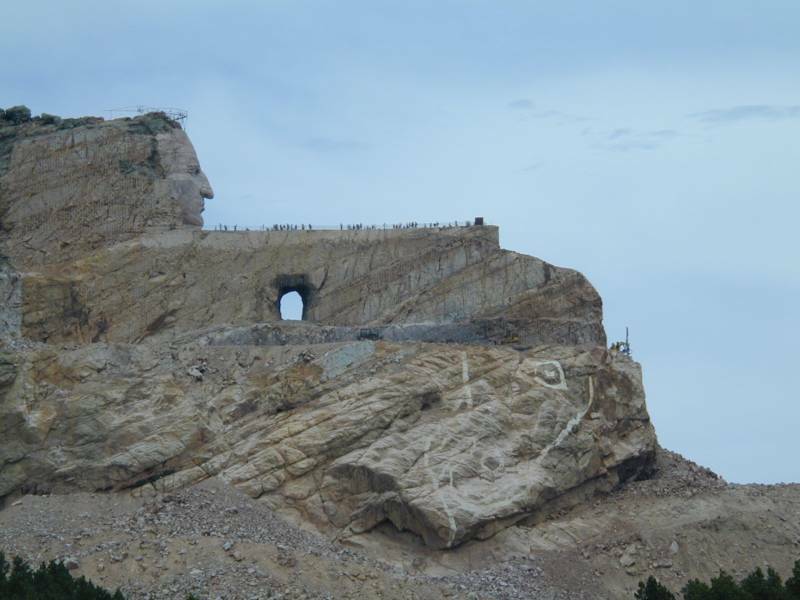 2001/06/02 - An animated view of the carving of the statue at Crazy Horse Memorial (1 mile in the distance) near Rapid City, SD. 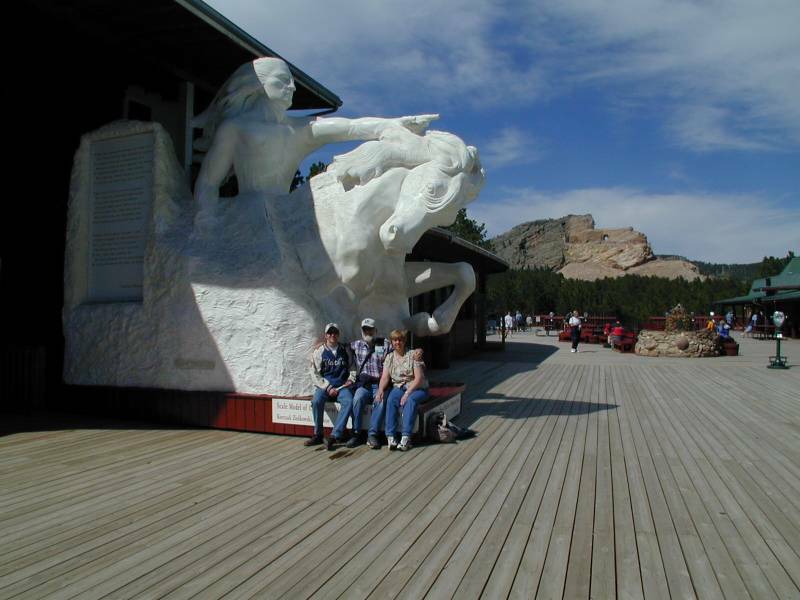 2001/06/02 - Dad, Joe, & Mom sitting at the base of a 1/34th scale model of the finished statue on the viewing verandah with the full-size carving of the statue of Crazy Horse Memorial (1 mile in the distance) in the background near Rapid City, SD. 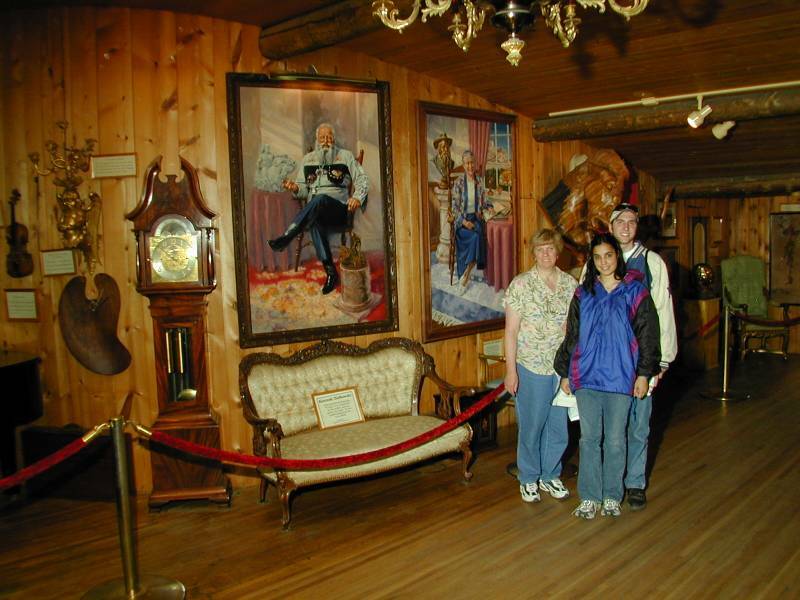 2001/06/02 - Mom, Jen, & Joe standing in front of portraits of Korczak Ziolkowski (the sculptor at age 73) and his wife, Ruth, in their home/studio. The grandfather clock was hand made by Korczak at age 18. 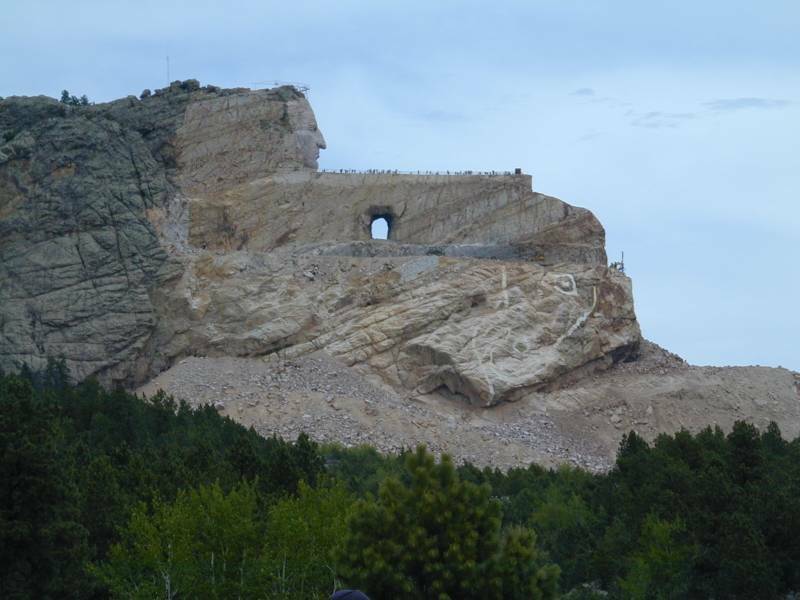 At Crazy Horse Memorial near Rapid City, SD. 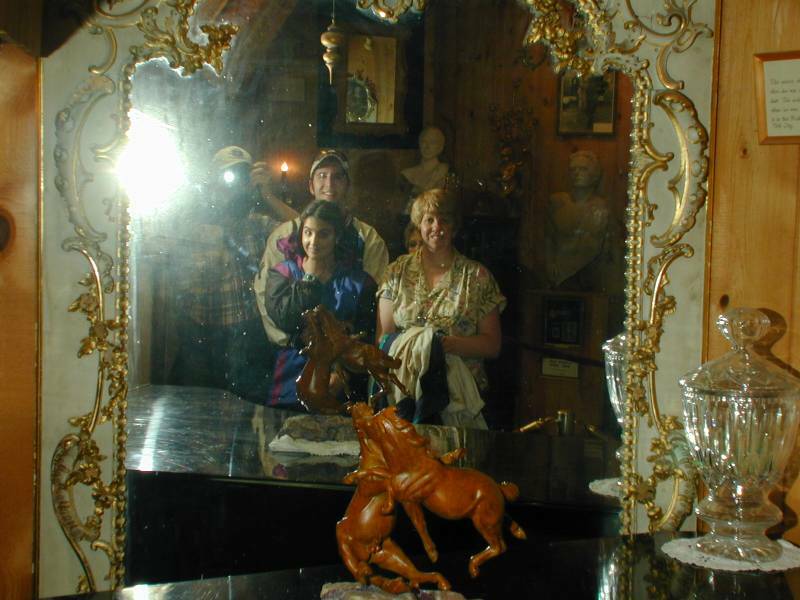 2001/06/02 - Dad (Taking the photo), Joe, Jen, & Mom reflected in a mirror once owned by Marie Attoinette hanging in the Korczak Ziolkowski (the sculptor) home/studio at Crazy Horse Memorial near Rapid City, SD. 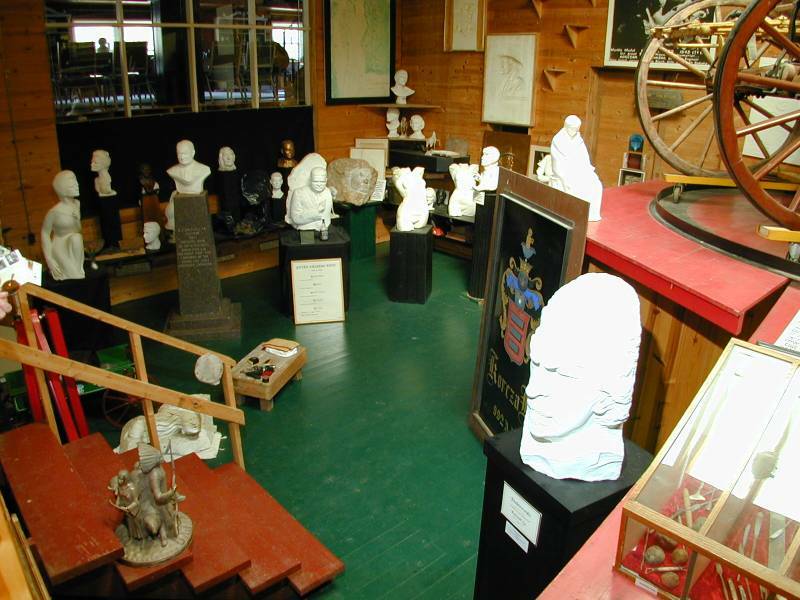 2001/06/02 - A view of Korczak Ziolkowski's (the sculptor) studio and sculpures at Crazy Horse Memorial near Rapid City, SD. 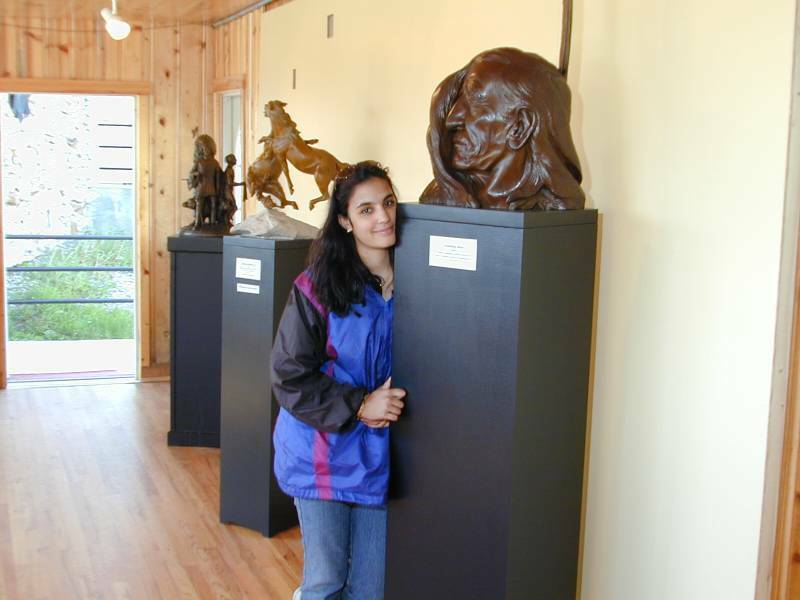 2001/06/02 - Jen in the Lakota Wing and Bronze Gallery, by a bronze cast of Chief Henry Standing Bear by Korczak Ziolkowski. The mahogany original was given to President John F. Kennedy. 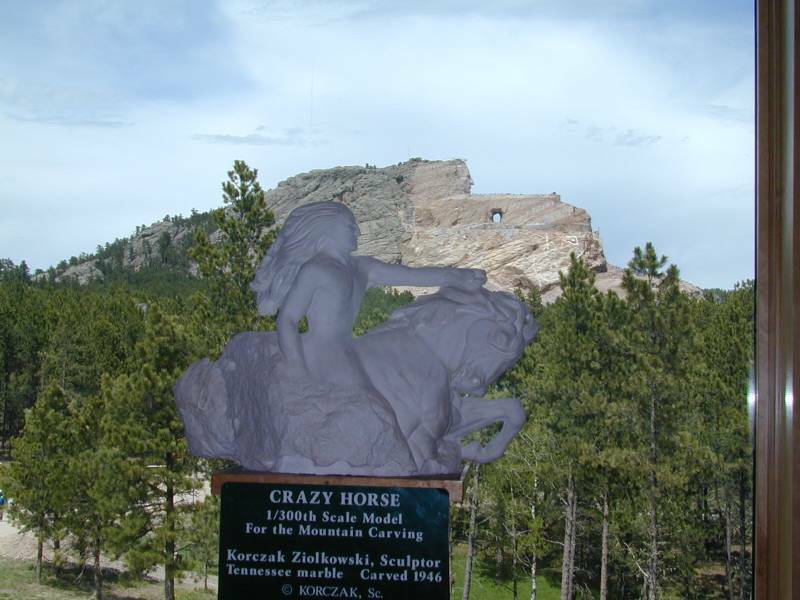 At Crazy Horse Memorial near Rapid City, SD. 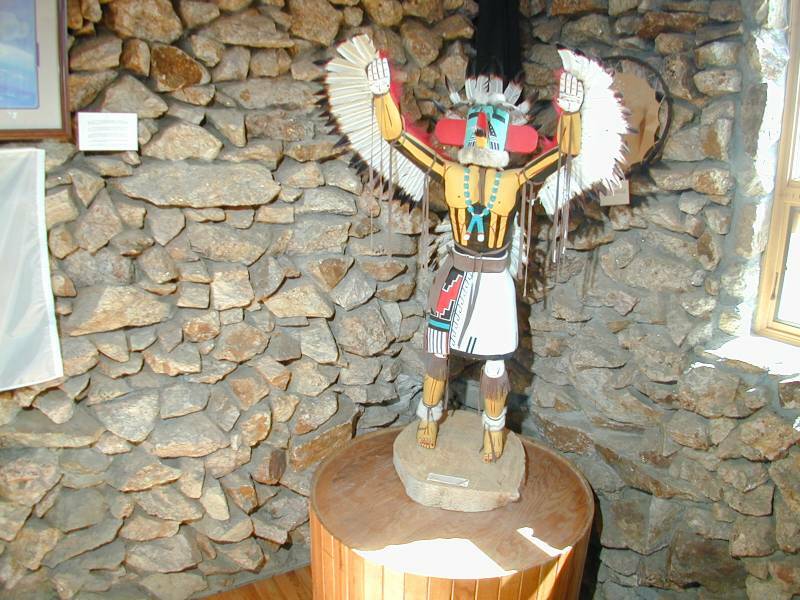 2001/06/02 - A giant Kachina in the North American Educational and Cultural Center at Crazy Horse Memorial near Rapid City, SD. 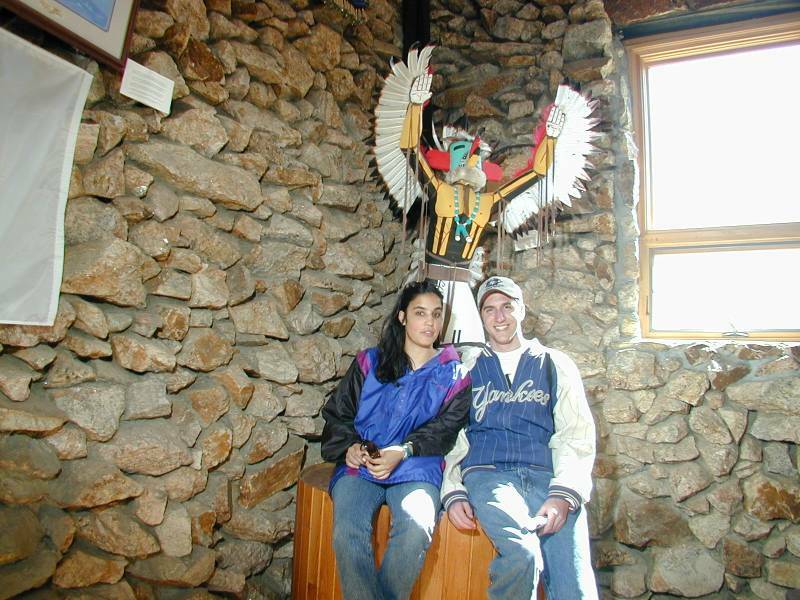 2001/06/02 - Jen & Joe sitting in front of a giant Kachina in the North American Educational and Cultural Center at Crazy Horse Memorial near Rapid City, SD. 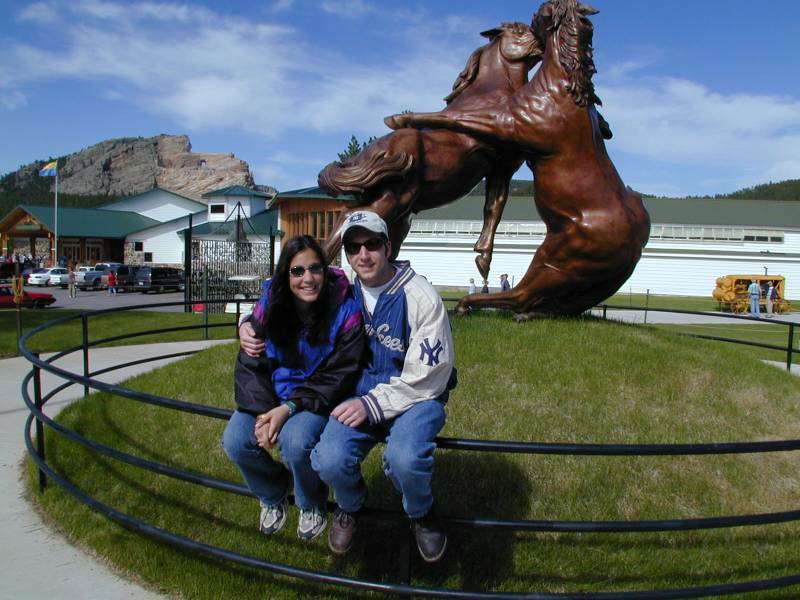 2001/06/02 - Jen & Joe in front of the larger-than-life bronze of Korczak Ziolkowski's 18-inch mahogany original of "The Fighting Stallions" with the Crazy Horse mountain carving in the background at Crazy Horse Memorial near Rapid City, SD. 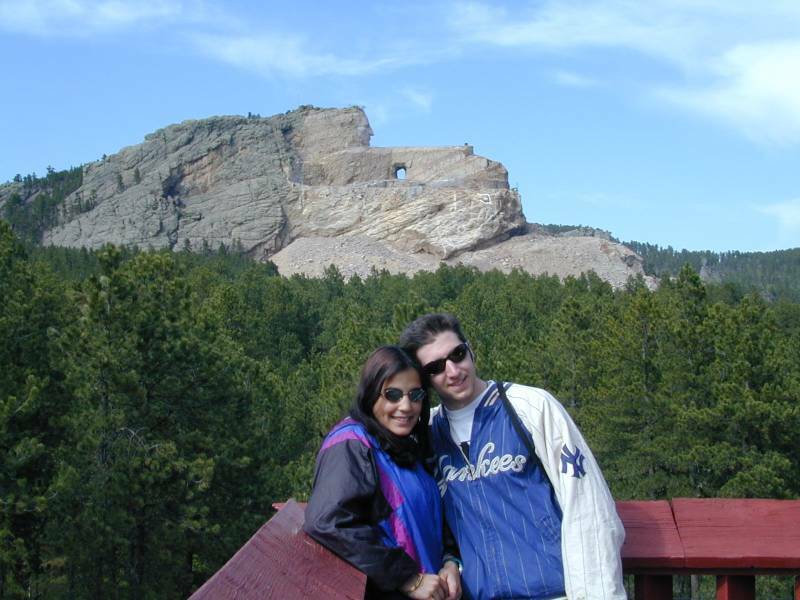 2001/06/02 - Jen & Joe with the carving of the statue at Crazy Horse Memorial (1 mile in the distance) in the background near Rapid City, SD. 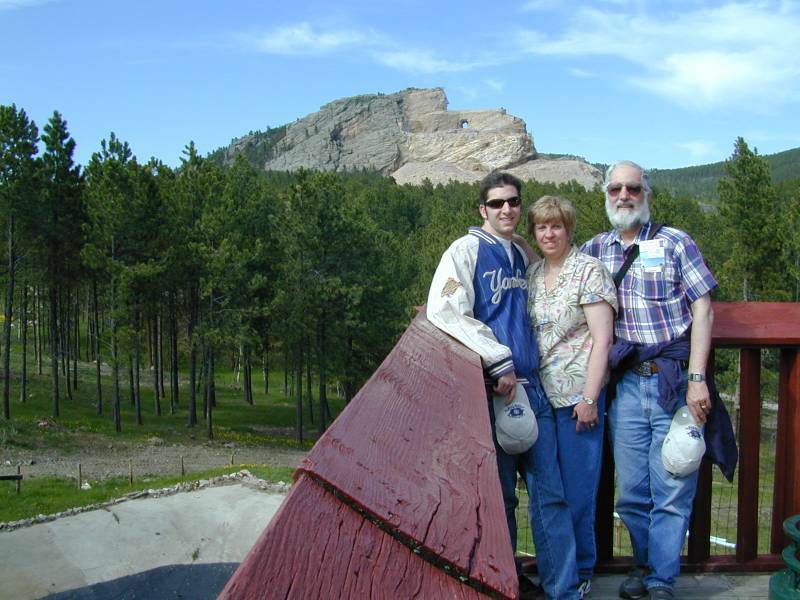 2001/06/02 - Joe, Mom, & Dad with the carving of the statue at Crazy Horse Memorial (1 mile in the distance) in the background near Rapid City, SD.